DPG Decorators Ltd - Painter/Decorator based in Bedworth, Warwickshire. 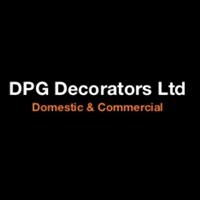 DPG Decorators Ltd are a family owned business based in Warwickshire, with many years of experience in painting, decorating and property maintenance. We are very lucky to have a great team of experienced decorators that share the same passion and ambition, with full client satisfaction. Most of our work comes through customer recommendation, We take pride in our work to ensure an excellent standard and customer satisfaction. Our priority is to work with our clients needs, minimising stress and hassle whilst the work is in progress. DPG approach every job with the same enthusiasm and dedication as the last.